To determine and describe ‘mainstream US culture’ responses to the Schwartz Values Survey version 57 were collected and analyzed amongst two samples, one from 49 states, disregarding state of residence, and another from 27 US states comparing samples by state, with the 27-state populations representing about 82 % of the total US population. Statistical comparisons indicate that the responses of the samples categorised by the total US and state of residence samples and Schwartz’ ten individual cultural values show a cohesive mainstream US culture of the White, generally middle class population, having high motivational value priorities for self-direction, universalism and benevolence, with lowest priorities for power and achievement. We found significant value priority differences between urban and rural residents, but minimal differences relating to gender. Ralston et al. 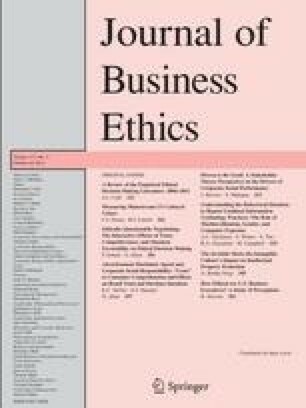 (2011) found reliability problems amongst national samples of businesspeople. We see some general reliability problems from our sample data. The SVS items and the dimensions they defined are listed in Table 10. Ralston et al. (2011) reported an extensive study employing comparisons of results from administering the SVS across 50 national samples and concluded that the reliability and validity of the SVS57 are questionable across cultures. Littrell (2010) noted similar problems comparing results from southern China and New Zealand. In this study, the nation was treated as is if it is a cohesive whole in every case. We were of course prompted to investigate the characteristics of the fit to theory of the model with our sample. We first employed Schwartz’ use of Multi-Dimensional Scaling Smallest Space Analysis for a test, as this is the technique he employed in developing the model. Schwartz proposes value relationships are defined as circumplex (arranged in a circular format in a two-dimensional SSA plot), with adjacent dimensions related to one another. The arrangement is shown in Fig. 7, along with the SSA model from our data. The two models are similar; however, our data for the USA indicate Achievement and Security may be core values, with the others more peripheral values. Early reviewers of manuscripts of this study commented on our discussion of goodness-of-fit probabilities for our SEM tests. There are no generally accepted cut-off values for SEM statistics (Garson 2007). The current consensus is not to use the goodness-of-fit statistic (GFI) or the adjusted goodness-of-fit statistic (AGFI) as they are unreliable measures (Kline 2004). Root mean square error of approximation (RMSEA) is one of the SEM fit indexes less affected by sample size (Fan et al. 1999), and is included in most discussions of SEM as the best estimate of goodness-of-fit (Chen et al. 2008; Garson 2007; Schumacker and Lomax 2004: 82; MacCallum et al. 1996). RMSEA has a range from 0 to 1. Chen et al. (2008) evaluated the choice of fixed cut-off points in assessing the RMSEA test statistic as a measure of goodness-of-fit. The results of their study indicate that there is little empirical support for the use of 0.05 or any other values as universal cut-off values to determine adequate model fit, regardless of whether the point estimate is used alone or jointly with the confidence interval. Chen et al.’s analyses suggested that to achieve an appropriate level of power or Type I error rate (finding a difference in a sample when there is none in the population), the choice of cut-off values depends on model specifications, degrees of freedom and sample size. The results of their analyses indicate that an appropriate value for RMSEA for a correctly specified model is about 0.078 for rejection of the null hypothesis of lack of fit with a confidence level of p = 0.05. The width of the confidence interval is very informative about the precision in the estimate of the RMSEA. RMSEA should be interpreted in the light of the parsimony ratio (PRATIO), the higher parsimony measure represents the better fit, with 0.90 an acceptable level. For our data, we find a good fit of the data to the SVS57 model, as noted in Table 11. Garson, G. D. (2007). Structural equations modelling, In Statnotes: Topics in multivariate analysis. Retrieved September 17, 2008 from http://www2.chass.ncsu.edu/garson/pa765/statnote.htm. Horrigan, J., & Murray, K. (2006). Rural broadband Internet use. Pew Internet and American Life Project. Retrieved September 10, 2012 from http://www.pewinternet.org/pdfs/PIP_Rural_Broadband.pdf. International Encyclopedia of the Social Sciences. (1968). Culture area. Retrieved October 03, 2011 from http://www.encyclopedia.com/doc/1G2-3045000273.html. Littrell, R. F. (2010). Comparative value priorities of Chinese and New Zealand businesspeople and their relationships to preferred managerial leader behaviour, PhD thesis, Auckland University of Technology, Auckland, New Zealand. Retrieved 2 July 2010 from http://aut.researchgateway.ac.nz/handle/10292/1198. Newman, M. E. J. (2006). 2006 US Congressional Election. Retrieved September 10, 2012 from http://www-personal.umich.edu/~mejn/election/2006/. Rasmussentreports.com. (2012). America’s best days. Retrieved August 20, 2012 from http://www.rasmussenreports.com/public_content/politics/mood_of_america/america_s_best_days. Schwartz, S. H. (2009). Draft users manual: Proper use of the Schwarz Value Survey, version 14 February 2009, Compiled by Romie F. L. Auckland, New Zealand: Centre for Cross Cultural Comparisons. Retrieved September 17, 2009 from http://www.Crossculturalcentre.Homestead.Com. Schwartz, S. H. (n.d). Human values. Bergen, Norway: Norwegian Social Science Data Services. Retrieved September 20, 2008 from http://Essedunet.Nsd.Uib.No/Cms/Topics/1/. UNESCO. (2002). Universal declaration on cultural diversity. Retrieved October 16, 2009 from http://www.unesco.org/education/imld_2002/unversal_decla.shtml#2.